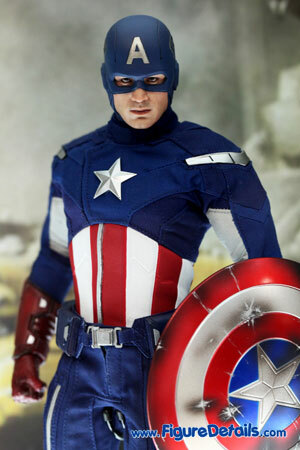 - Fully realized action figure likeness of Chris Evans as Captain America in his hero costume in the The Avengers movie. 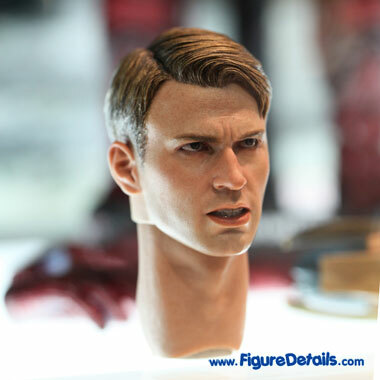 - Newly developed alternate head likeness of Chris Evans as Captain America. 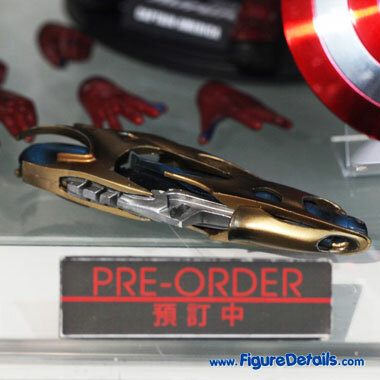 - Two metal-like electroplated shields (one normal, one battle damaged). 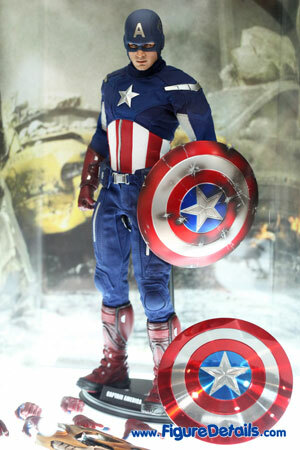 Here I show you the photos of Captain America Limited Edition Action Figure that is now displaying in the Hot Toys store. 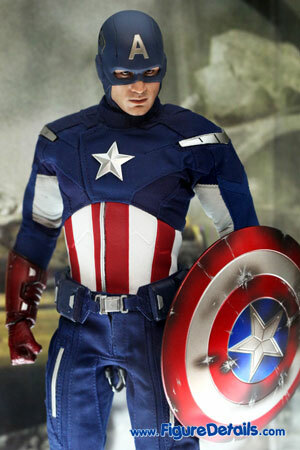 Captain America from movie: The Avengers. 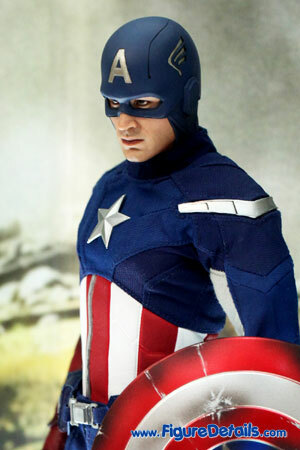 This is the second Captain America from Hot Toys. 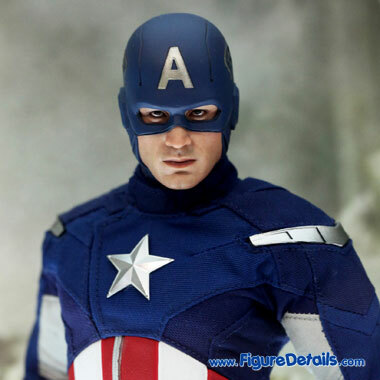 When compare with Captain America from movie: The First Avenger, basically everything is new developed - new helmeted head, new costume, and new red boots. 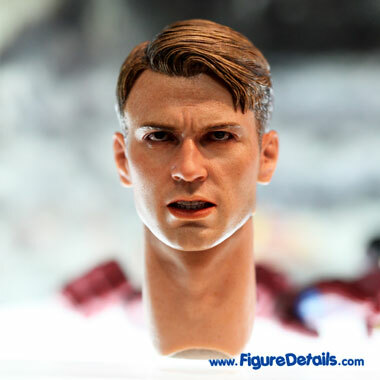 For this Captain America, it comes with lot of extra accessories - alternate Chris Evans head, battle damaged electroplated shield, and alien weapon.